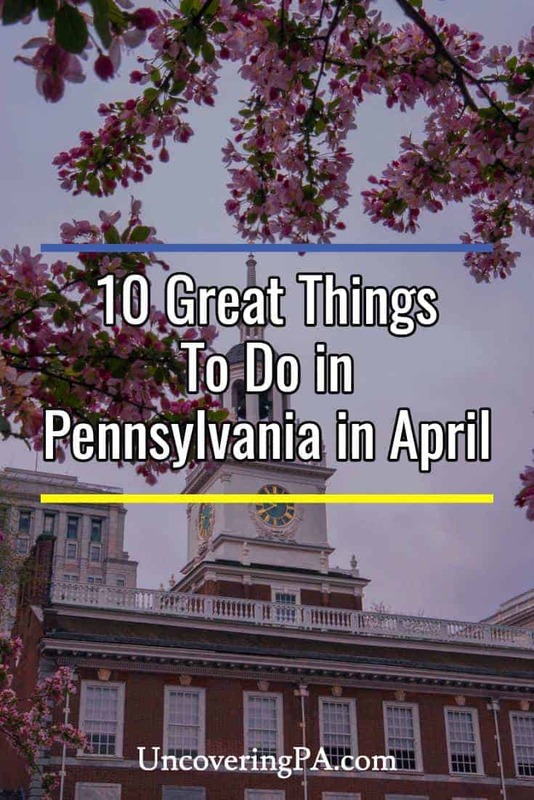 There are many great things to do in Pennsylvania in April. As the first full month of spring, it’s time to get outside and enjoy some of the best activities throughout the state. From great music to historic reenactments, there’s a bit of something for everyone to do in PA in April. I scoured through thousands of great events to bring you 10 of them happening throughout PA in the coming month. 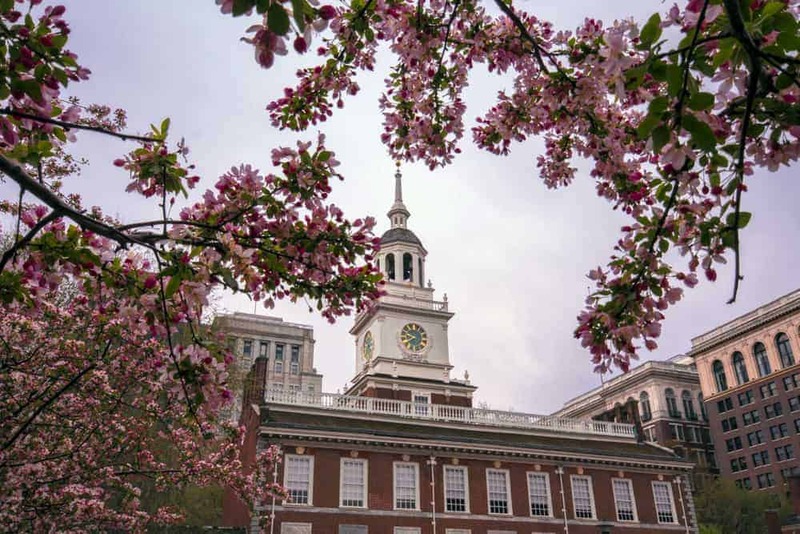 Check out the list below to start planning your spring travels in Pennsylvania. Article updated March 8, 2019 to reflect events in April 2019. The annual Pennsylvania Maple Festival will return to Meyersdale, offering visitors a chance to celebrate one of the state’s most delicious crops. 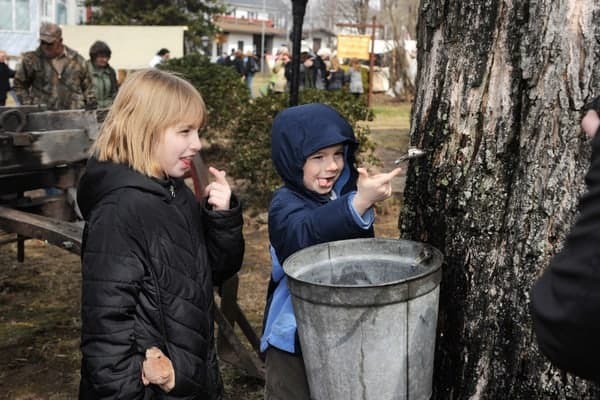 During the festival, you can try maple products, see how it is harvested, and even attend a tree tapping ceremony. The festival also features a beauty pageant, a horse-pulling contest, a parade, vendors, and much more. For more information on the festival, visit PAMapleFestival.com. Begun in 2014, Philly Wine Week brings the opportunity to explore some of the best restaurants and bars for wine lovers in Philadelphia. During this seven-day event, dozens of events will be held throughout the city at many great venues. For more information and an event list, head to PhillyWineWeek.org. The 29th Annual Berks Jazz Fest returns to Reading this month. During the festival, dozens of artists will perform at half-a-dozen locations throughout the city, offering visitors a chance to enjoy some of the best jazz music the country has to offer. In addition to great jazz performances, there are workshops and seminars related to jazz music. Find out more about the artists appearing at the festival and purchase tickets at BerksJazzFest.com. Shofuso Japanese House and Garden is one of the best places to see cherry blossoms in Philly. You don’t need to leave Pennsylvania to enjoy blooming cherry blossom trees and Japanese culture. Instead, head to Philadelphia for the annual Subaru Cherry Blossom Festival. 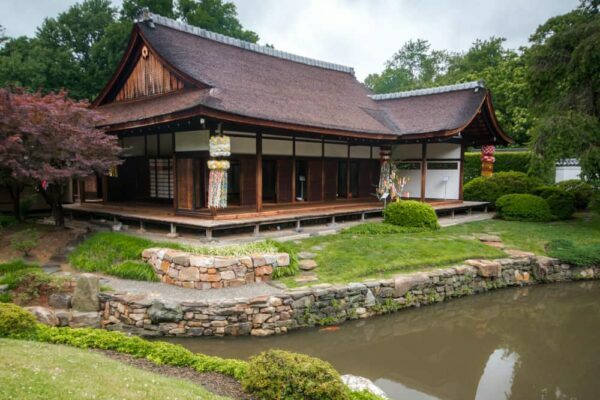 Held in Fairmount Park, which is home to more than 3,000 cherry blossom trees and the beautiful Shofuso Japanese House, this event features Japanese cultural demonstrations, Japanese food, and, of course, a beautiful setting. For more information on this great event, head over to the festival’s website. College football fans rejoice every spring as the Blue and White Game takes over State College. The game is the last of 15 practice sessions held during the spring and offers a glimpse into next year’s team. Admission to Beaver Stadium is free for the game and includes not only the game, but autograph sessions, a family-fun festival, and local craft and food vendors. Click here to find out more about this festive spring event. Now in its 88th year, the Easter Promenade is a parade open to everyone Philly’s South Street. Come in your Sunday best as you walk through the city. There will be live music, a contest for the best dressed in a variety of age categories, and much more. 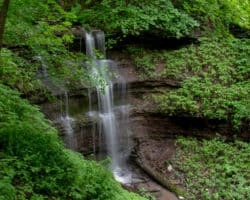 Do some volunteer work on Earth Day at one of Pennsylvania’s great state parks. If you are looking for an opportunity to get out and enjoy Pennsylvania’s beautiful state parks while giving back on earth day, the Pennsylvania DCNR has many great events to choose from. 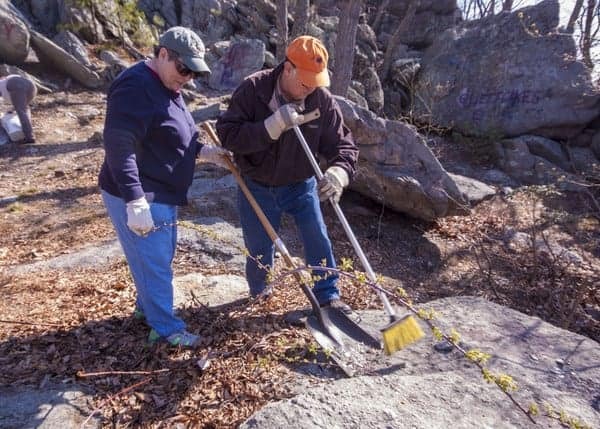 All throughout PA, visitors can help clean up some of the state’s most beautiful state parks and get them ready for others to enjoy throughout the spring and the summer. For more information on the many great volunteer opportunities throughout the state, head over to the DCNR event’s calendar. Now in its 20th year, the Chainsaw Carvers Rendezvous in Ridgway brings some of the country’s best chainsaw carvers to Elk County, PA. Over four days, dozens of artists will be showcasing their skills and competing for a variety of awards. There will also be the chance to purchase unique pieces of art and to watch carving demonstrations. There are many great events happening during Harrisburg Beer Week. 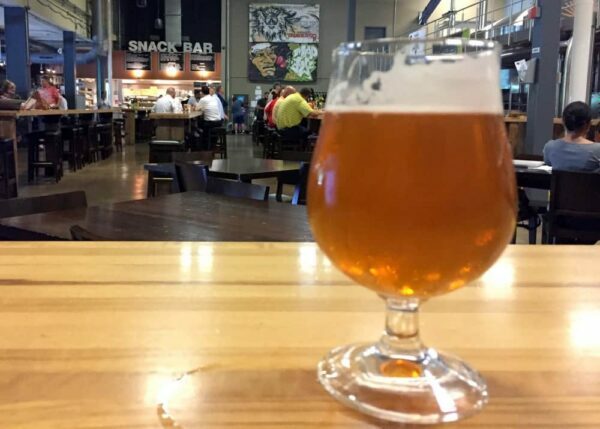 Harrisburg Beer Week is returning to the Capital region this April. Now in its fifth year, the event continues to grow and is bigger than ever in 2019. During the week, there are tons of great events including a homebrewers competition, special brews made just for the event, the chance to explore some of the area’s best breweries, and much more. 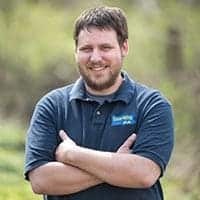 For more information and a complete event list, check out HarrisburgBeerWeek.com. 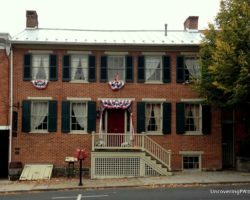 Visit the central Pennsylvania community of Huntingdon in April for one of the month’s most unique events: Mayfest. Now in its 15th year, this event features the chance to see five different eras recreated in five different city blocks. Visitors can stroll from the Victorian era to the Woodstock era, and then over to Colonial Times, all without leaving the downtown area. In addition to historical reenactors, the event will feature live music, craft vendors, local food, and much more. Looking for other things to do in Pennsylvania? Check out our list of things to do around the state in March and our top things to do in PA in May. 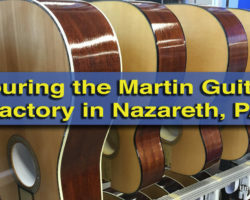 Do you know of a great event happening in Pennsylvania in April? Let us know in the comments section below! During the Great Depression, my Grandfather ran a “sugar camp” at a place called “Tip’s Inn” between Berlin and Meyersdale, Somerset Co. He boiled down his syrup using steam pipes lining the large flat vat, instead of over a fire as most camps did. His product was superior because it had no fly ash or smoke contamination. The steam was generated by a coal fired boiler that also heated the roller rink at Tip’s Inn. I also remember him telling me how “bad runs” of syrup, when for some reason the tree sap was of inferior quality, were sold to tobacco companies to flavor chewing tobacco. I pick the events that I think look the most interesting. Sometimes that means there are more in one part of the state.